Much is going on in LDA over the case of fake plot transfers in Johar Town. Many officials apparently involved in the fake transfer or hindering its investigations, have been dismissed or retired by the LDA Director General Ahad Khan Cheema. These efforts deliver a clear message across the city that LDA is completely serious in exposing the culprits behind this fraud and culminating the activities of land mafia. Ahad Cheema on 3rd August, 2012, imposed penalties on 12 LDA officials who were allegedly involved in bogus transfer of 3 plots. He forcefully retired Haroon Rashid (Director, Revenue), Muhammad Yasin (Assistant Director, Identification), Mian Ashfaq (Assistant Director, Computer) and Naseem Abbas (Junior Clerk), while, BIlal Rahat (Data Entry Operator) and Akhtar Mumtaz (Junior Clerk) were also dismissed from their job. 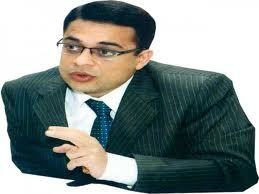 Cheema also held the annual due increments of a few other officials. The sources have revealed that police brought forward the criminal case registered against 7 LDA officials and two civilians before the authority on Monday 6th August. The case was uncovered after the accused successfully transferred the plots 181, 196 and 233 by forging documents. The case was filed against the mentioned LDA officials and the two civilians named Muhammad Muteen Malik and Syed Tanveer. It has also been confirmed that Mian Ashfaq and Muhammad Yaseen are under the custody of police. The fact-finding inquiry report was conducted by Khalid Pervaiz. This report concluded that Assistant Director of computer section Mian Ashfaq Ahmed forced Assistant Director, Computer Muhammad Usman to issue the documents needed for plot transfer. The report mentioned that Ahmed knowingly ignored the difference of dates in transfer letter and transfer application, where the application was dated one week after the issuance of transfer letter. The report highlights on mal intent of Ahmed. The report also stated that junior clerk Mumtaz Akhtar misplaced the file to hinder the inquiry. It was also noted in the report that plot transfer was possible due to connection of certain LDA officials with land mafia. These facts confirmed that main culprits behind this scam those who forged the documents and later misplaced them. Similar patterns have been followed by the transfer of all three plots in Johar Town.